Spend more time working with your furry and feathered friends, and let us fill your calendar! 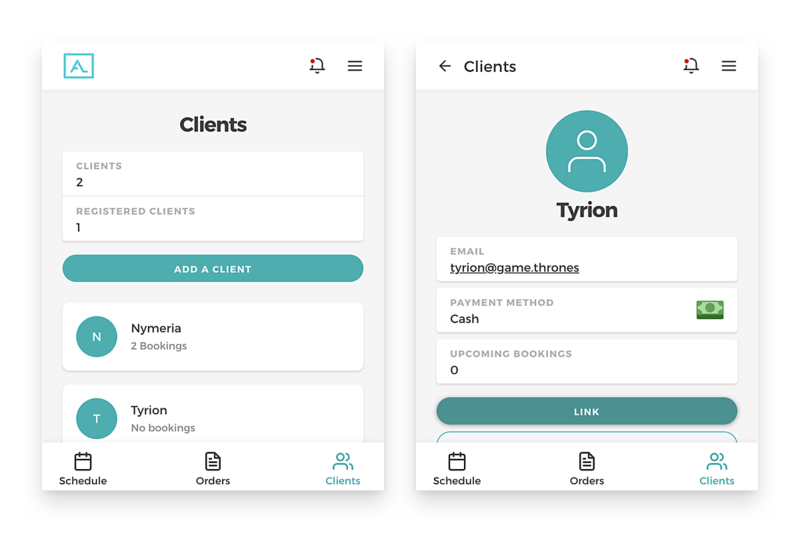 Say goodbye to back-and-forth communication with your clients. Instead, let them book appointments online at their own convenience. 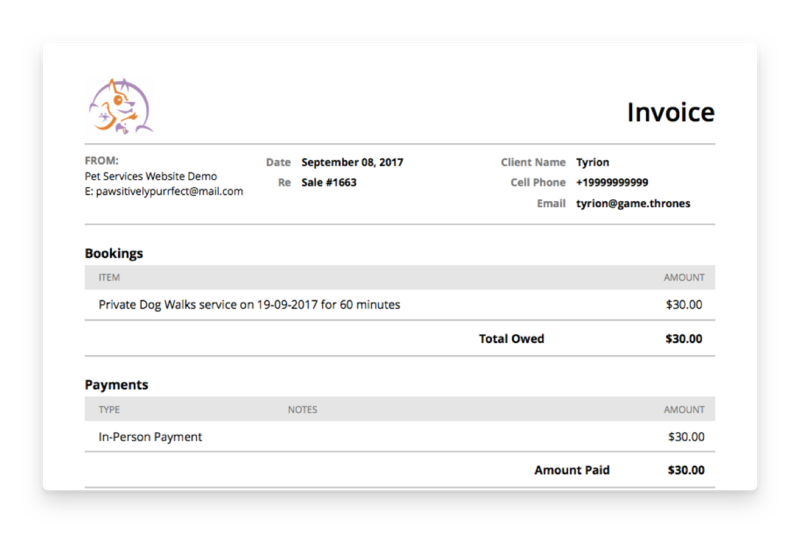 Impress your clients with professional invoices. Accept payments in person or in advance online through Stripe or Paypal. Plus, with each payment tracked, we'll automatically send a receipt to your client. 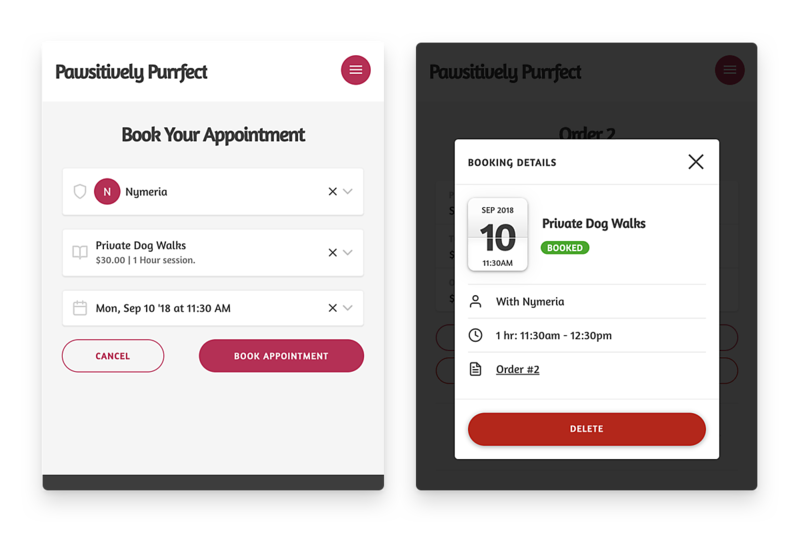 Take detailed notes of your clients, their pets, and their history so you can customize your services to them. What's more, you can access this information on-the-go, whenever you need it.